I leave for St. Louis on Sunday and will be staying there for six weeks. I don’t know if I’ll see any plays while I’m in St. Louis; I’d like to see some plays because I have been told that St. Louis has some superb storefront theater there in addition to the Repertory Theatre of St. Louis and the MUNY. But I’m mostly going there to work and write. Blogging will be a bit sparse since I will have to go to the St. Louis Bread Company to use WiFi. Which isn’t bad, because I love St. Louis Bread Company (or, Panera Bread, as it is known outside of St. Louis). I hope you’ll get to see some plays and report back on them. And visit the Gateway Arch! The six weeks will go by fast and you’ll be back in Chicago before you know it. And I didn’t know Panera was called St. Louis Bread Company in St. Louis. That’s interesting. Thank you! I’m going to try to see a show done by The New Jewish Theatre in St. Louis, which I’ve heard terrific things about, that will be running in December. 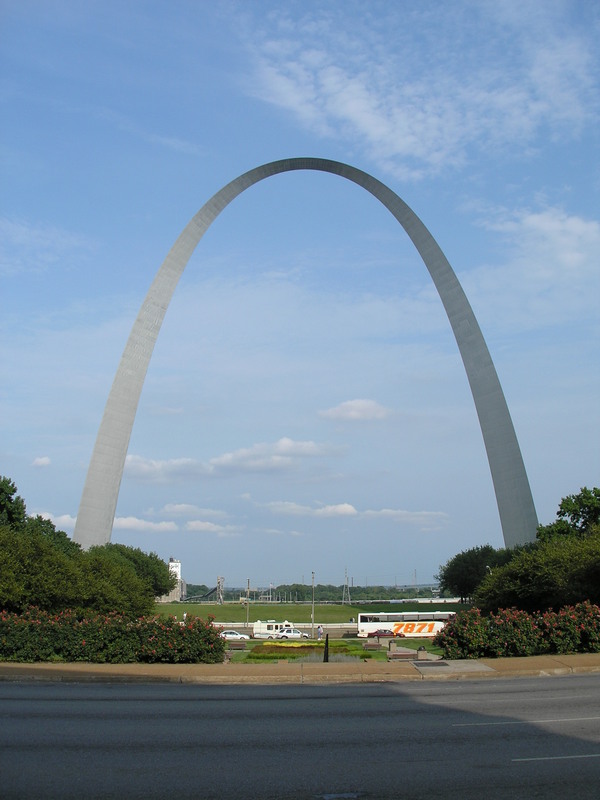 And if I do visit the Gateway Arch, it might just be standing in front of it since I suffer from a fear of heights. I might be coming back to Chicago during the six weeks, but that depends on whether or not I get to review a certain show. I’m not sure why it’s called the St. Louis Bread Company only in St. Louis. It was started in St. Louis, but I don’t know why they changed the name to “Panera Bread” when they decided to expand it nationally. Monica, you’re certainly correct that there’s a rich, vibrant and growing theatre community here in St. Louis. If you can find the time for it, you certainly won’t want for variety! Perhaps we’ll have the pleasure of welcoming you to The Rep during your stay. At all cases, do enjoy your visit!